Mattress sales are not glamorous. But what is the least glamorous part of your new bed? The metal frame. It’s the part that you think is included, but it’s probably not. It’s the part that you don’t see, don’t care about, but can totally ruin your new mattress set. It’s the part that you think is cheap, but since it’s made of steel, it’s not. This is NOT an awesome frame. First, let’s talk about why it’s important. It supports your foundation, which then supports your mattress. If the frame doesn’t have a center support (for a queen or king size), you WILL damage your foundation and mattress. Box springs aren’t designed to hold all the weight being placed on them without having support in the middle. Conversely, if your frame is held together with the dreaded C-clamps, chances are that things have shifted a bit and the side of your foundation isn’t even on the frame anymore. Also not good. Second, let’s talk about why they cost so much. They are made of steel, which is expensive. They are heavy, and cost a lot to ship. They are not a big money maker for mattress stores. Third, let’s talk about your frame at home, and whether you can just use it again. Does steel wear out? Not really, but you want to make sure that your frame will adequately support your new, heavy mattress. Is it the correct size? There should be minimal room on each side of the foundation, between it and the side rails. There should be a center support bar for queen and King frames. 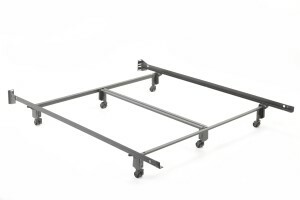 There should be at least one leg extending to the ground in the middle of the bed, attached to this center support bar. The frame should have all of the wheels/glides intact. There should be no rust or corrosion. This IS an awesome frame. Finally, let’s talk about why you would buy the more expensive frame, rather than the cheap-o frame. A more expensive frame has more steel, more strength, and more of the rails touching the foundation. There is usually a center support bar that is about 3-4” wide, extending from the head of the bed to the foot of the bed, which is especially important for king sized beds. The wheels are wider, less likely to break, and have wheel locks. They will be a one size only frame, meaning that they are not held together by nuts and bolts, but by wedge locks. All in all, buying a more expensive frame will be a one time expense that you won’t have to replace. So the next time you are buying a mattress, do your homework first and look at your frame. If you can use it, great. If you need a new one, spring for the best one that you can afford, and ensure that your investment in the mattress will extend as long as possible. With school starting up again, we as parents and grandparents always try to give our children the tools that they need to succeed. This usually means books, pencils, a back pack, and other supplies to help them learn. But did you know what is also important for learning and memory retention? Sleep. 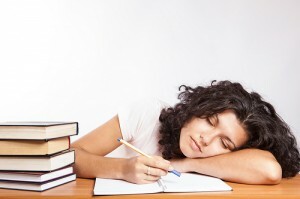 Harvard University has linked lack of sleep with lack of focus, which makes sense. What many people don’t realize is that lack of sleep not only means quantity of sleep (as in hours rested), but also quality of sleep (as in how many hours you spend in deep REM sleep). A person that goes to bed at 10pm tosses and turns until 12am, then wakes up intermittently throughout the night until waking up at 6am isn’t getting 8 hours of good, restorative sleep. In fact, someone who goes to bed at 12am, but falls directly asleep, and stays in long REM sleep cycles will wake up feeling more rested, and more able to focus on tasks with energy. There are three functions that need to occur during learning, according to The Division of Sleep Medicine at Harvard Medical School: Acquisition, Consolidation, and Recall. Acquisition is the process of actually learning the material, such as in class or by reading. Consolidation is the process that makes those memories of learning stable, and permanent. Recall is the process that allows for the mind to remember this learning, thus making it useful. Consolidation occurs while we are sleeping. Although scientists aren’t sure how, the brain processes the information received throughout the day, and stores it in the correct place. A student that is not getting proper sleep will not remember key learning points the next day, therefore making the original Acquisition process useless. So when you’re getting your child ready to go to school or college, take a look at their sleeping situation. Is their twin sized bed too small for their bigger frames? Has it developed a dip or sag, therefore not giving the best support? If they’re on the way to college, check out the dorm mattress, and replace if necessary. Another great idea is to get your children in a good sleep routine. Turn off electronics at least 30 minutes before bed time. Keep the bed clean, and not full of toys. Make sure that the temperature of the room is comfortable. Maintain the same sleep and wake times as much as possible. We all want our children to get the most out of their education. In preparing them for the new school year, also prepare their brains to absorb and retain all that learning! If you’re one of the millions of Americans who loves nothing better than sinking into your mattress and falling asleep on your back, then you need a mattress that’s designed for back sleepers. Today, you can choose from adjustable beds, combination beds, gel memory foam beds, pillow top beds and more — but how will you know which kind is right for you? If you’re a back sleeper, you need a mattress that supports your lower back. If you wake up with pain or stiffness, it may be because your current mattress either pushes against your spine or allows your hips to sink too far. Medium-firm is the perfect mattress type for back sleepers, and there are several options to choose from. Have you ever tried mattress shopping with your partner, only to discover that you can’t agree on a new bed? That may be because you have different sleep styles. Side sleepers, for example, need a softer mattress that provides adequate support for the knees and hips so the back doesn’t sink too low. Stomach sleepers prefer extra-firm mattresses that don’t let the hips sink. With a combination bed such as the iSeries, you can each get the mattress you need without resorting to separate beds. You can choose a combination mattress constructed with one side that’s medium-firm, and one side that’s soft or extra firm. You do need to select which side to sleep on before you order your mattress, because the mattresses are no-flip. Some beds have sleep numbers that let you increase or decrease the firmness on each side. You can also choose an adjustable mattress, which provides customized support as well as help for common sleep disturbances such as snoring and apnea. Combination mattresses are typically more expensive than traditional mattresses. Nevertheless, when you and your partner can agree, you might find the added expense is well worth the effort. Innerspring mattresses are the most popular mattress choice in America. They are available in flat and pillow top styles as well as every size. 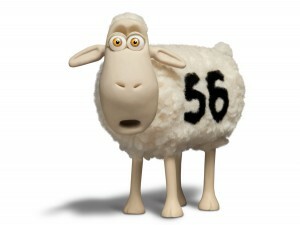 Simmons, Serta and Sealy are three of the biggest manufacturers and they all make innerspring mattresses. You can find innerspring mattresses in all price ranges and made to varying degrees of quality. Search for a mattress that provides adequate support and durability while also reducing motion during movement. A foam mattress is another excellent option. Foam mattresses support all sleep styles, which makes them a great choice if you start on your back, roll to your side or wind up on your stomach. Foam mattresses are also a great choice if you share your bed with a partner who doesn’t have the same sleep style as you — but you don’t want to invest in a combination mattress. 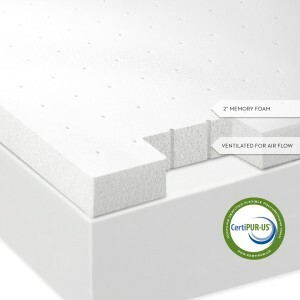 Choose a gel foam memory mattress with cooling technology, such as the Serta iComfort, to reduce the heating that occurs with foam mattresses in the middle of the night. No matter what you choose, make sure you test your mattress before you buy. If you’re shopping online, choose a merchant that lets you exchange your mattress, so you’re not stuck with a bed you don’t like. Are you a stomach sleeper? If so, you have different mattress needs than side sleepers because you need a flatter surface that won’t let your hips sink lower than the rest of your body. If you’ve ever slept on a soft mattress and woke up experiencing back soreness, it’s because your back didn’t receive the proper support. The best types of mattresses for stomach sleepers are firm mattresses that won’t let the body contour to a position that promotes back stress, and eventually, back pain. Although the quality and construction of your mattress plays a large role in the overall quality of your sleep, even the best-made mattress can cause back stress and pain if you choose a model that’s ill-suited for your sleeping position. The problem gets worse if you sleep with a partner who has a different sleeping position than your own. Pair a side sleeper with a stomach sleeper, or a stomach sleeper with someone who snores, and it might not be long before you’re both wishing for separate beds. With a combination mattress, you won’t have to resort to separate bedrooms. Combination mattresses blend different firmness levels. For example, Sleep Number beds allow individuals to choose the firmness that suits their needs. A side sleeper might choose a soft setting, while a stomach sleeper prefers the firmest setting. If your loved one snores, consider a split adjustable bed — one side rises slightly to open up a blocked airway, while the other side stays blissfully flat and firm. The downside of combination mattresses is their expense, as they can cost significantly more than a traditional flat, one-firmness mattress. Nevertheless, when you consider fewer stiff muscles and trips to the chiropractor, along with a more restful night of sleep, the investment becomes worth it for many families. Do you fall asleep on your side or stomach, and then wake up on your back? If so, you’re not alone. If you’re a combination sleeper — or if you share your bed with a partner — the foam mattress is another option. 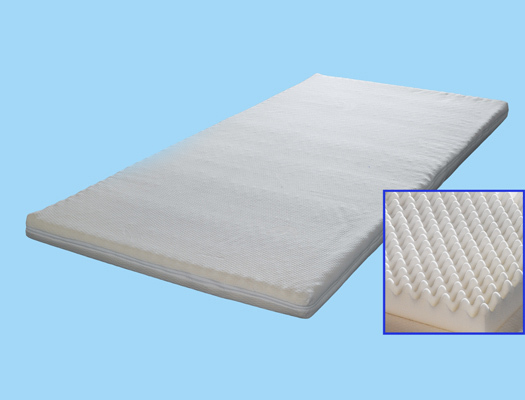 Foam mattresses provide adequate support for every sleep style, because they are not too soft for stomach sleeping or back sleeping, and not too firm for side sleeping. Foam mattresses can also be expensive, but they remain a viable option for individuals who shift frequently during the night. They’re also a fair option for couples who don’t share sleeping styles and aren’t interested in a combination bed. If you sleep alone and prefer a cost-conscious, traditional choice, a firm innerspring mattress may be right for you. 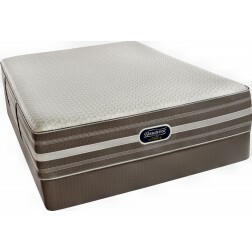 Innerspring mattresses contain metal coils beneath a layer of padding. They are the most popular type of mattress. No matter what, the best way to find mattresses for stomach sleepers is to test out your mattress before you buy. When you buy your mattress from Dr Snooze, you can also return your mattress if it’s uncomfortable. Contact Dr Snooze with any questions today! 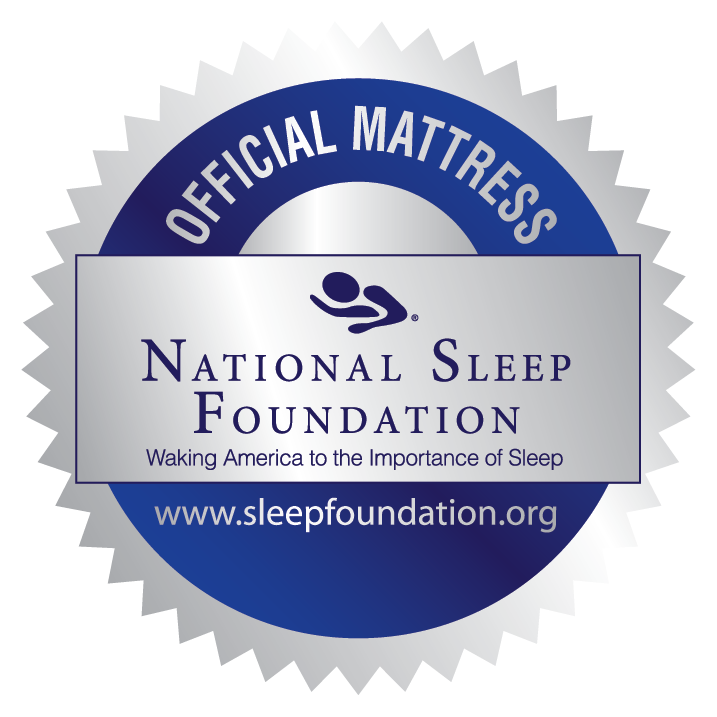 Did you know that the Serta Perfect Sleeper is the official mattress of the National Sleep Foundation (NSF)? 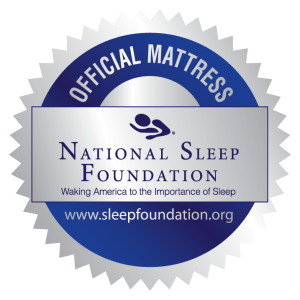 Did you even know that there was a National Sleep Foundation? They work to improve sleep and well-being through education and sleep advocacy. They do extensive research on sleep, sleeping habits, and the effects of sleep on our lives and health. The NSF is a non-profit foundation, and they have chosen the Perfect Sleeper because they have engineered their mattresses to combat the five common reasons for poor sleep. Serta Perfect Sleepers increase their sleeper’s comfort by combining the correct comfort layers in the correct way. Foams and fibers are used to cushion the sleeper, and allow for more circulation, therefore reducing the amount of tossing and turning on the bed. Perfect Sleepers have a continuous coil support system, and are designed to give you excellent support from your head to your feet, all night long. They are made of tempered steel, to ensure that they support the heaviest parts of you just as completely as the lightest parts of you. Some models also have zoned coils, for extra support where you need it most. Serta Perfect Sleepers have breathable, moisture wicking material at the top of the bed, which keeps you cool when you’re hot, and warm when you’re cold, all night long. Select models include CoolTwist Gel foams, to draw heat away from your body throughout the night. You’ll never wake up needing more or less blankets on a Perfect Sleeper. The coil system on the Serta Perfect Sleeper is “laced”, or attached, head to toe. This means that motion runs from the top of the bed to the bottom and vice versa, not across the mattress. If your partner is getting up or moving during the night, you’ll still stay blissfully asleep. All Perfect Sleepers are tested beyond the industry standard, to provide comfort and support to more than 99% of the population, regardless of weight, height, or sleeping position. They have increased edge support, for a bed that feels larger, and is comfortable to sit on. When you have your Serta Perfect Sleeper delivered, you will receive the “Guide to Sleeping Well”, published by the National Sleep Foundation. It provides suggestions on how to get your best night’s sleep, as well as how to maximize the rest that you’ll get on your new Perfect Sleeper. 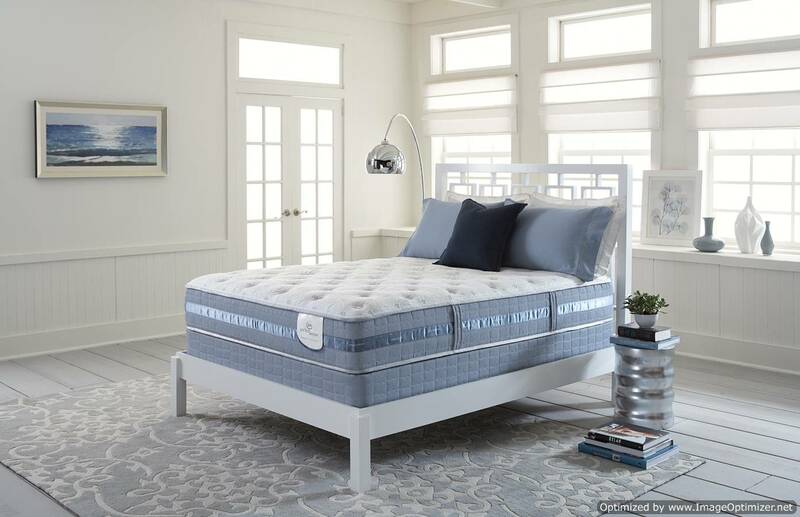 We have all of our Perfect Sleepers on sale right now to celebrate their selection as the official mattress of the NSF, check out our Serta Perfect Sleeper selection today, and eliminate your reasons for not sleeping tonight! What Are the Best Mattresses for Side Sleepers? Most people do not consciously choose their sleep position. Although you may sleep in each of the positions at different times during the night, you’ll tend to gravitate to the one that feels natural. Specifically, you will assume the sleep position that enables you to breathe freely. The type and condition of a mattress is also a contributing factor. An old, worn-out mattress that sags in the middle, for instance, can make side or stomach sleeping more difficult. These days, bedding manufacturers produce customized mattresses for all types of sleeping positions. This means you have a choice between a back, side or stomach sleeper mattress. Choosing the right mattress for your natural sleep position can mean the difference between enjoying sound, restful sleep or tossing and turning all night long. If you’re like most Americans and tend to be a side sleeper, mattresses that are softer are likely to be your best alternative. Why? When you lie on your side, it places you spine in its most natural position. A softer side sleeper mattress will provide better support for the natural curvature of your body and keep you spine properly aligned, enabling you to sleep more comfortably. If you’re a side sleeper, and you wake up with hip or shoulder pain or stiffness, there’s a good chance your mattress is too firm. Many sleep experts suggest that memory foam mattresses or latex mattresses are best for side sleepers. Memory foam is designed to cradle specific body pressure points and provide even weight distribution. Latex will support the natural curve of your body as you sleep.